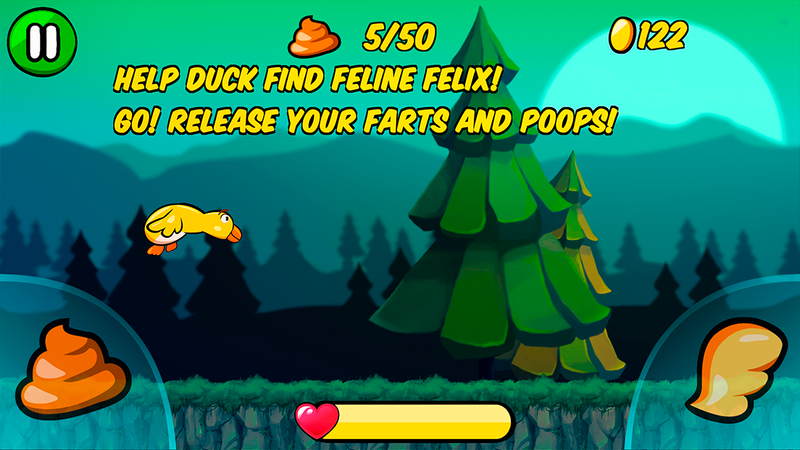 Duck´N´Dump features two best friends: a duck and a cat. 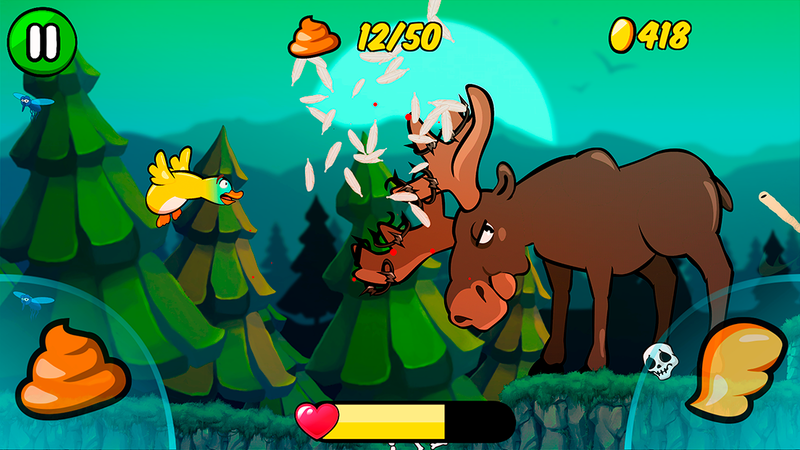 The cat gets kidnapped, so the duck feels it must do what is right and go on an epic journey to save its friend. 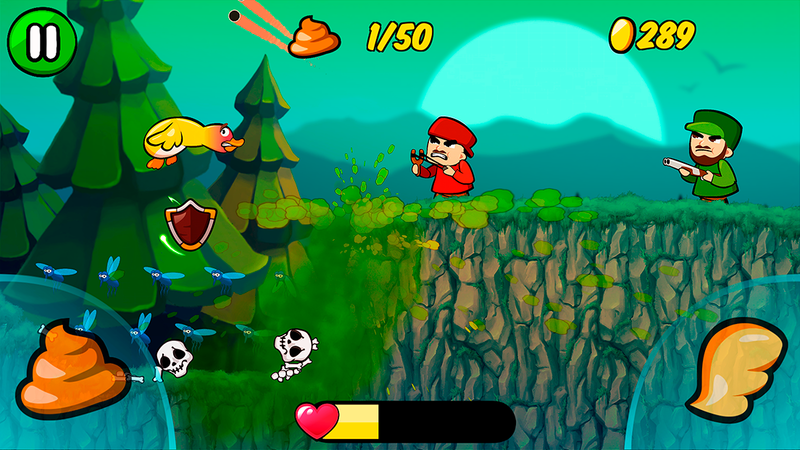 Its only defense weapon against the perils on the road is poop. 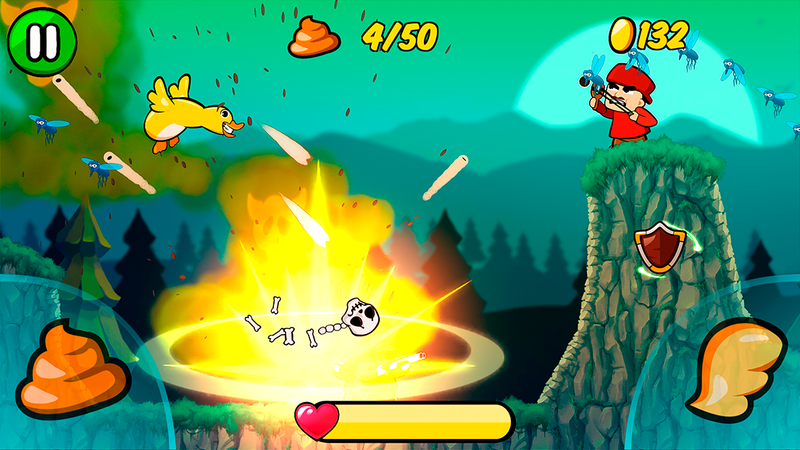 Duck’n’Dump is a free-to-play mobile game targeted for kids and adults who like potty humour.